The house : "Mas des Vignaux"
Anne and Michel open their home to friends and those who need to rest, away from stress and the hectic life of cities and refocus on the essentials. They welcome you in Provence, in the village of Poët-Laval, one of the "most beautiful villages in France". Their house, the "Mas des Vignaux" offers a place propitious to self, with others, with nature. 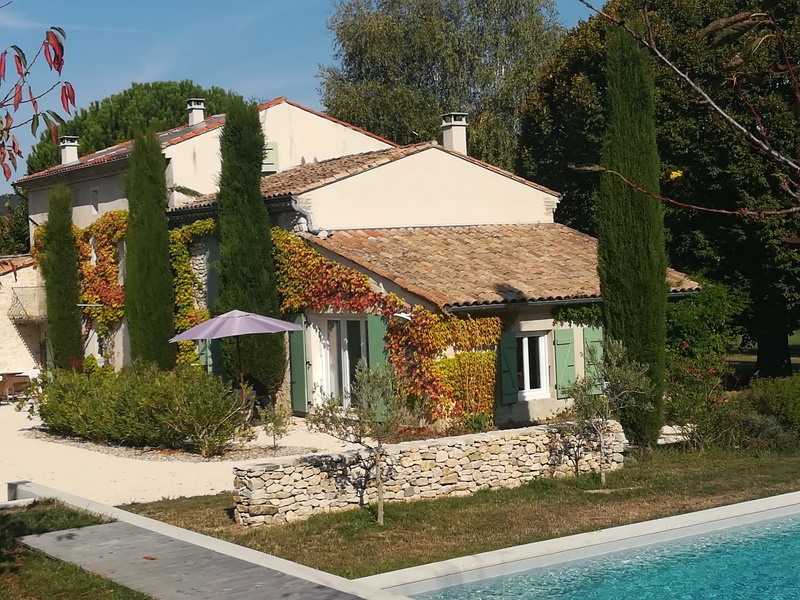 The "Mas des Vignaux" is an old farmhouse which was completely renovated, and decorated with sobriety. It is located along a river, in the middle of fields, near a forest of cork oaks and a ten-minute walk from the village (bus, local amenities, post office).